Filming Driving Plates: We’ve finally arrived! We are happy to officially announce that the first of our Driving Plates footage is available for download on artbeats.com. We’ve captured some of the most amazing footage, and there’s still much more to come. 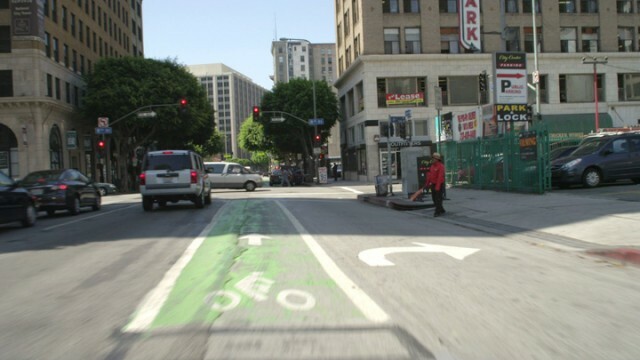 Watch our Driving Plates Demo Reel and see how valuable this footage is, and get a sneak peek at what’s coming soon. Image Above: Shot at an upward angle, this skyline image is called a reflection plate, a vital ingredient to making a driving scene realistic. The reflection plate is placed as a semi-opaque layer on the windshield and hood of the car, accurately depicting a mirrored reflection of the scenery overhead. The reflection plate is available in both the 5-Angle and 9-Angle Driving Plates sets. A 5-Angle set also consists of four panoramic (wide) views shot from the front, back and sides of the car. A 9-Angle set is filmed in two passes down the same section of road. With this type of set, you’ll not only get the front, back, sides and reflection plate, but also the three-quarter left and right views from the front and back of the car. 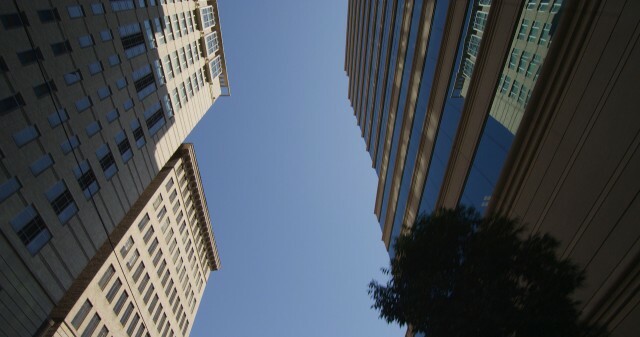 Image Above: LA’s Fashion District is just one of the many locations we captured in our Southern California shoot. In fact, we shot all over Los Angeles, Pasadena, and Santa Monica during the day, evening and night to give you even more options. So you can put your characters on the same stretch of road at different times, depending on the storyline. Image Above: Driving plates aren’t just for city dwellers. We braved the scorching desert heat so your actors can stay cool and comfortable in their “car”. 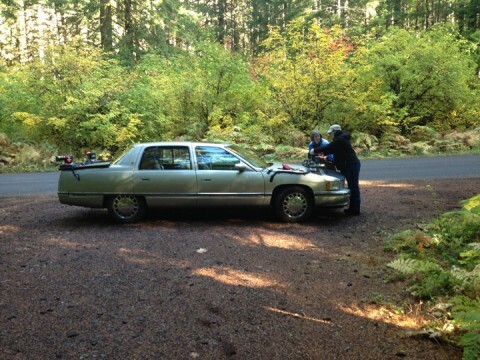 Image Above: Taking a break to move the cameras on this beautiful stretch of wooded highway. We’ve captured all different types of terrain during our travels through Oregon and California, as well as industrial areas, bridges, marinas and residential neighborhoods. Most can double as locations in your area. Image Above: The Pacific Coast Highway makes the perfect backdrop for your drive along the coast. This footage, which is coming soon to our website, is featured in both northbound and southbound sets. So whether your characters are coming or going, the ocean will always be on the correct side! 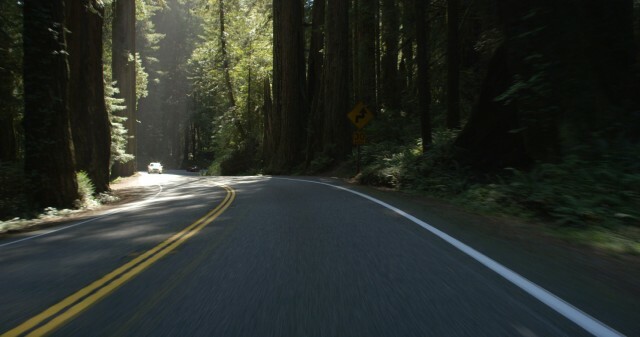 Image Above: Whether your story calls for a leisurely Sunday drive through the mountains, a weekend camping trip in the woods, or the impending arrival at a haunted cabin, the Redwood Highway is a spectacular setting. This was one of our favorite locations to film. You can purchase individual angles or an entire set of driving plates. Everything featured on our website is available for immediate download. Be sure to check back often for more driving plates sets. What Driving Plates locations would be helpful for your productions?